Brickfield Meadow is a delightful unimproved meadow on the edge of the Ashdown Forest in the village of Fairwarp. This is delightful unimproved meadow on the edge of the Ashdown Forest on the outskirts of the village of Fairwarp. Meadows are now a rare habitat in Britain with over 97% lost over the last 70 years as grasslands have been improved through re-seeding with faster growing grasses, applications of fertiliser, and ploughing up for crops. Meadows have traditionally been managed by taking a hay cut in the summer and then aftermath grazing with cattle or by light grazing throughout the summer, which helps prevent some of the coarser grasses taking over and allows fine-leaved grasses and wildflowers to proliferate. 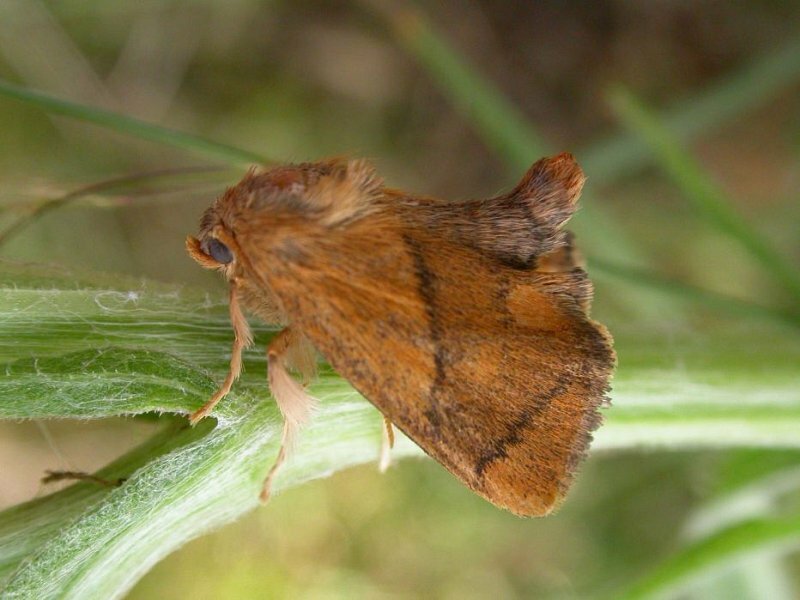 Find out what moth species we found at Brickfield Meadow.